One of the major pledges in NHS England’s General Practice Forward View strategy, published in April 2016, was to significantly expand the primary care workforce. By 2020-21, NHS England aim to have 10,000 more staff working in general practice – an extra 5,000 doctors and 5,000 other staff, including nurses. But with a 2015 report from the Queen’s Nursing Institute revealing that more than a third of practice nurses in the UK are due to retire by 2020, and that just 27% of practices offer placements for preregistration nursing students, where are all these extra nurses going to come from? One of the people tasked with tackling this challenge is Paul Vaughan, NHS England director of nursing, transformation. Mr Vaughan is leading on the ten-point action plan for general practice nursing, and has a target to increase the number of general practice nurses in England by 1,000 by the end of 2020. Published last year, the ten-point plan covers the nursing element of the General Practice Forward View and is backed by £15 million in funding. It aims to support existing general practice nurses and improve recruitment and retention. One of the commitments is to increase the number of placements available for preregistration nursing students in general practice. In a recent interview with Nursing Standard, Mr Vaughan said he wants to make primary care ‘attractive to future generations of nurses so they see it as a first-destination career’. General practice provides a learning environment rich in resources for undergraduate nursing students, with acute, long-term and preventative care all under one roof. Yet few nursing students are exposed to the general practice setting. The primary care element of undergraduate nurse training is often based solely on district nursing or health visiting, and students rarely spend more than one day with a practice nurse. Many practice nurses are highly experienced and skilled, and qualified in an array of specialties, such as long-term disease management, contraception advice, travel health, cervical screening, childhood immunisations, tissue viability, minor illnesses, prescribing, medication reviews, health screening and promotion. The practice where I work is a well-established teaching practice for GP registrars and medical students, but it has never accommodated nursing students. This seems illogical in the current climate. But, as practice nurses are directly employed by GPs, this area of nursing can lack a unified voice, transparent pay scales and a clear career pathway. This could be part of the reason why, historically, educational institutions have not sought general practice placement opportunities for nursing students. There is also the issue of who will mentor the students. 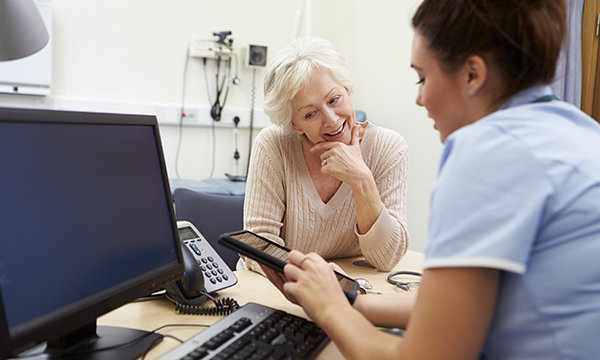 The practice nurses who completed mentorship courses many years ago would have needed to update their qualifications, but with retirement looming and other more pressing matters, such as revalidation, enthusiasm has waned for many. When I had the opportunity to undertake the mentorship level 7 module, I jumped at it. But being accepted onto the course was a challenge as my practice had not yet taken on a nursing student. And who would mentor the mentor? We worked around this by agreeing mentorship training with a nurse mentor at the local nursing home. Overall, the training was a positive experience, and the student I mentored said she enjoyed her placement and may consider practice nursing as a career. In the general practice setting, each patient seen during a single clinic could require a different intervention, exposing the student to a multitude of experiences. Community nursing can at times feel isolating, yet it brings with it levels of autonomy rarely seen in secondary care. The opportunity for more practice nurses to become qualified mentors needs to be encouraged among the practice nurse workforce, as well as in higher education institutions. Research has shown that practice placements during preregistration nurse training have a direct influence on career choices. To meet the predicted workforce needs, it is imperative that nursing students are given the opportunity to work in general practice. Without this, the workforce we need to meet future demands on primary care simply will not be there.